When traveling there are countless intangible benefits that you come to realize are happening. I could drone on for days about all the amazing experiences, lessons learned, stunning photography opportunities, and about the overall good times to be had when living life on the road. But as is true for anything in life, nothing is perfect and in traveling you will find no exception. One of the more difficult aspects is also a somewhat shallow one....looking our best! Because of packing constraints, long overnight train journeys or flights, jet lag, and an overall inability to give a damn at times, looking our best can sometimes be a tall order. If you are like me then your hair may be the first thing to go by the wayside when traveling. I personally have pretty frizzy and thick hair making it quite difficult to maintain, especially while traveling. As far as I can tell you basically have 3 choices. You can cut your hair very short or even shave your head. That option is usually a difficult one for women though so I am going to guess not that many of you want to go that route. Men may go with that for ease. You can also go with not giving a damn about it. Throw it up in a ponytail, throw a hat on, or just let it be however it is going to be. I have admittedly gone that route many, many times and I suspect you all have at one point or another as well. If you don't want to do either of those things then really the only choice, especially with hair like mine is to find a great product that works for your particular hair. Something like LYNX hair gel, or perhaps a spray, oil, or mousse will help to tame your locks. My personal favorite is anything that helps me travel light and works well with minimal effort. Try and narrow it down to 1 or 2 things and make them work for you! As a bonus tip if you are going on a short trip try a good dry shampoo. I had never even heard of this until recently but I swear by it now for trips up to a week long. It works wonders on all types of hair and can save valuable space in your luggage. Clothes take up the majority of any suitcase. You obviously want to be as comfortable as you can while still looking great. Be sure to only pack as much as you think you'll need and get comfortable now with the idea of wearing your clothes more than once before washing. It's a whole other world when you have to hand wash things in a sink. They quite quickly pass the sniff test that they may have failed when you were still at home. The best advice I can give here is to try and pack things that are neutral in color so you can pair them up with multiple items. If you need color then bring some small accessories to add that color splash! Keep it simple and most importantly choose multi purpose items. There is only so much weight you can carry so make each and every item really count. Sorry men, this one is for the ladies but I assure you it will be short and sweet! My advice for this one is super simple, take out what you normally use and then cut it in half, and then cut that in half again. You won't need a lot and I find some cover up, mascara and eyeliner along with a good lipstick or lip gloss are plenty. Less is definitely more as far as make up while traveling goes. Most of the time we were in humid climates or spending lots of time at the beach and none was warranted at all. Sleep is one of the most important tools we have for looking our best. If you are constantly partying, traveling too fast, jet lagged, and missing out on sleep your body will show it. Try and get at least 7 hours of sleep a night. Your body will thank you as a good nights sleep can do wonders in regards to detoxifying both your body and mind. One sure way to look and feel terrible is to allow your body and your skin to become dehydrated. Probably the worst I have ever felt traveling was due to a terrible headache brought on by refusing to drink water on a long overland bus journey. The best advice I can give is to drink water as much as you can, moisturize your skin especially for air travel, and avoid alcohol because it only furthers the dehydration process. All these things will help maintain good skin integrity and keep you looking and feeling your best. 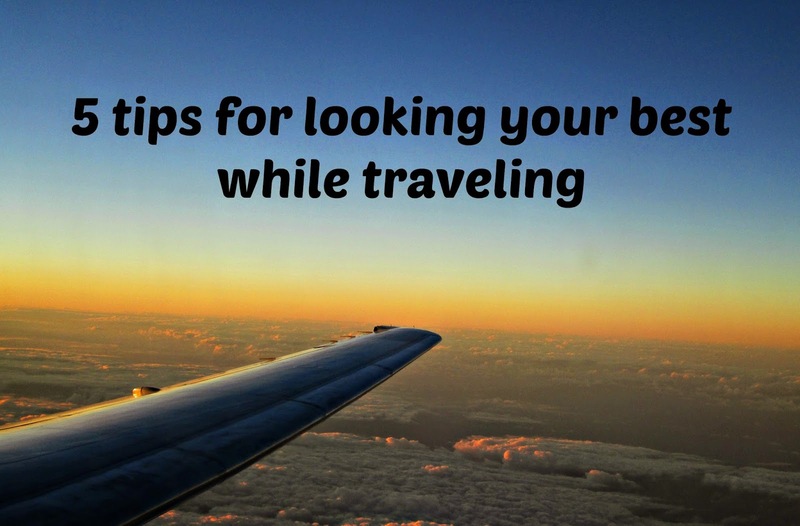 What do you do to keep looking your best during travel? Tell us about it in the comments below! That looks fantastic. For our family trip to Italy a couple of years ago, we stayed in apartments right in the center of Rome and Venice. Magnificent strategy. More space, saves money (on meals), learn how local appliances work, can do laundry, and much more. Great article. Thanks and I totally agree. And to find an apartment that caters to families is such a nice treat! I just got 9 hours last night. Feel like a million. BUT, now for another 9 tonight to keep the momentum going.